This sturdy tomahawk is made by the American brand Condor. The hawk is based on historical originals that were used by the native Americans in the Black Hills and the Great Plains. 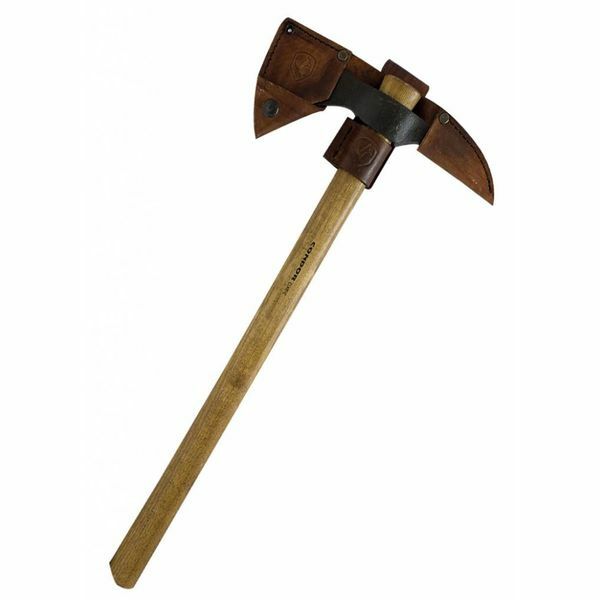 This hawk is an ideal throwing axe and tool for woodworking or cleaving small pieces of wood. 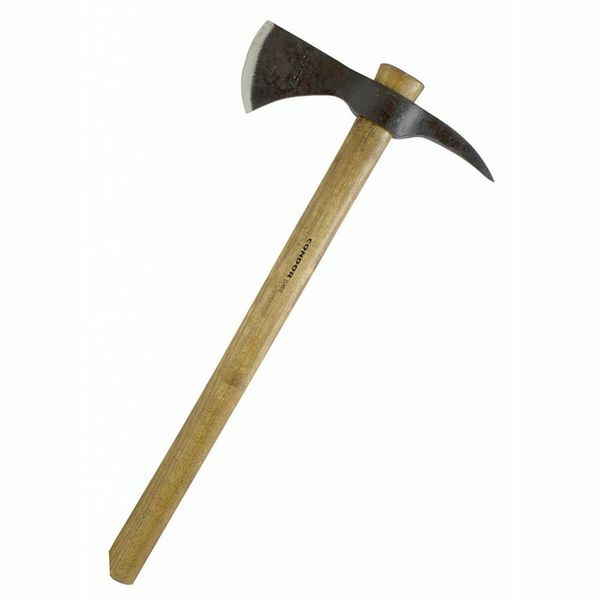 The axe head is made of high quality 1060 carbon steel, with a hardness of 50-55 HRC. Tip: to make this axe suitable for living history and re-enactment, you can erase the brand from the shaft with sand paper. If needed, the shaft can easily be replaced. The edge can be blunted (2,5-3 mm) at a surcharge of €30,00. Please note: although the thickness will be the same as a battle-ready sword, the return right and warranty expires when using the blunting service. Please contact us if you wish to use the blunting service, or make a note at the last step of your shiopping cart. The extra delivery time is approx. 2 weeks.